The Arlington Festival of the Arts returns in the spring of 2019 as Highland Street in the Clarendon District of Arlington, Virginia will be transformed into a two-day juried outdoor art gallery style art exhibit. The event will showcase the finest work of more than 100 leading artists in the country and will appeal to people of all ages including families, art enthusiasts, ​and serious collectors. The artwork will be for sale with prices set to suit all budgets, and in the past, items have ranged in cost from $25 hand-designed earrings to $50,000 metal sculptures. The artists will line their booths along Washington Boulevard, Clarendon Boulevard and North Highland Street. About Howard Alan Events, Ltd.
Howard Alan Events, a Florida-based company, develops and presents art and craft shows throughout the country. For the past 25 years, Howard Alan Events has produced some of the nation’s finest juried art shows, including more than 40 venues each year such as the Alexandria King Street Art Festival, Downtown Aspen Art Festival (Aspen, CO), Beaver Creek Art Festival (Beaver Creek, CO), Chicago Tribune North Michigan Avenue Art Festival (Chicago, IL), and the Las Olas Art Fairs, (Fort Lauderdale, FL). 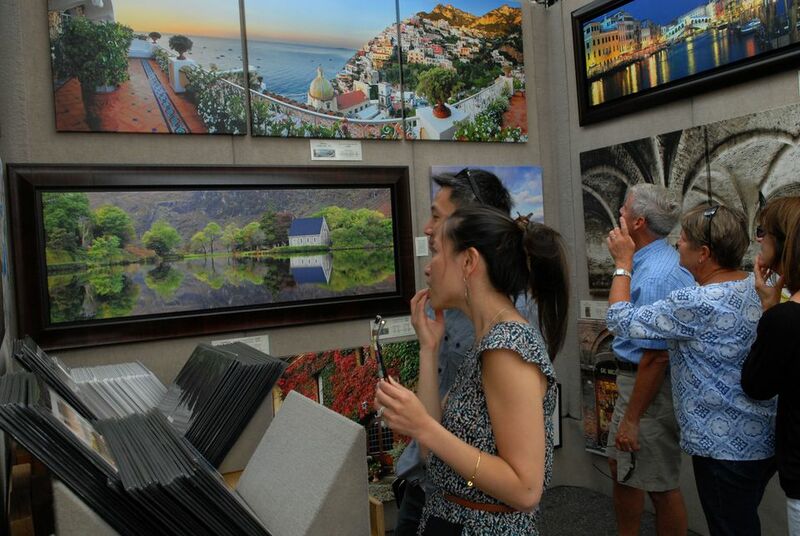 Several shows are ranked in the top 100 art fairs in the country by Sunshine Artist magazine. The Arlington Arts Center is a private, nonprofit contemporary visual arts center dedicated to presenting and supporting new work by regional artists through exhibitions, educational programs, and subsidized studio spaces. The organization was established in 1974 and has been housed since 1976 in the historic Maury School. The facility includes nine exhibition galleries, working studios for thirteen artists, and two classrooms. For more information, visit www.arlingtonartscenter.org.